Each year in the life of a tech journalist is punctuated by several major events that happen all over the world. We're usually lucky enough to travel to most of these events, bringing you your first looks at all the new products and features that you want to know about as soon as they're launched. Some of these events are gigantic trade shows with hundreds of participating brands spread out across entire cities, that happen over the course of a week. Some are individual brand events at arena-sized venues, with thousands of fans in attendance. Some are much quieter round-table or one-on-one sessions with senior folk from companies' marketing and product teams. Here's a quick guide to where you can expect us to be in 2019 as we chase every new launch that's worth bringing to you. The year begins with a bang in Las Vegas with the annual CES consumer electronics show. This event sees hundreds of thousands of people descend into Sin City in the bitter winter to see what every major brand from Samsung to Microsoft to Netflix is going to be pushing in the new year. Many big companies host splashy events where they hope to outshine their competitors — and in true Vegas fashion, everything is over the top. CES is a great way to gauge how the rest of the year will go. There are also hundreds of companies, especially pro audiophile and VR or content developers hosting private demos and meetings in hotel suites up and down the famous Las Vegas strip. In amongst all the din, hundreds of brand-new startups vie for attention. 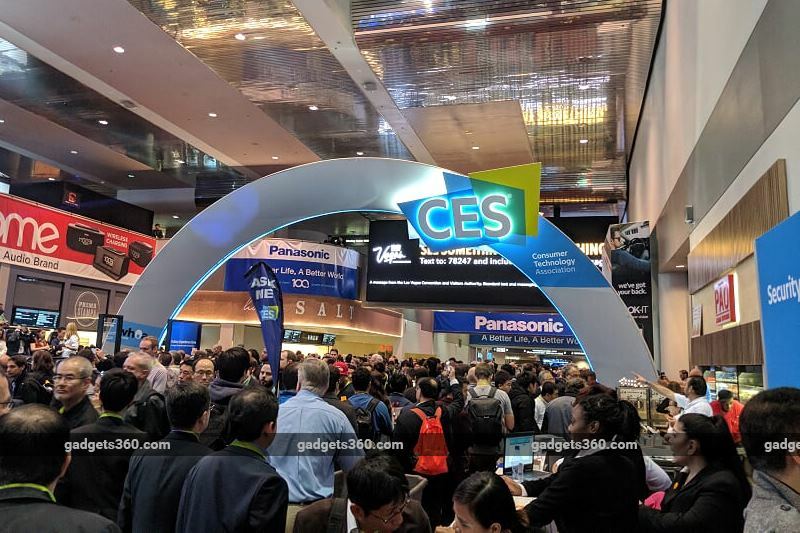 CES is best known for huge TVs and appliances, but there's also robotics, IoT, baby products, wearables, home automation, pro audio, AR and VR, drones, gaming, cars, apps, security solutions, B2B tech, and much, much more. Towards the end of February or early March, our attention is concentrated on the smartphone space and our Schengen visas are renewed as we head to Barcelona for MWC. This is where we get our hands on the latest flagships from Samsung, LG, Nokia, Huawei, Asus, Sony, and others, though not all of them make an appearance every year. We get to see what Qualcomm, MediaTek, Intel, and Google are up to. Several smaller players are there, including Indian firms and companies that haven't yet launched in India. MWC is a show for the entire telecommunications industry including service operators, backhaul equipment manufacturers, and government bodies. MWC 2019 is going to be an especially massive event because 5G will be on everyone's minds, and companies have been working towards making their big 5G announcements there. We might have several jaw-dropping demonstrations to bring to you in just a few months. After a slight pause, we brush up our Mandarin and head to Taipei for Computex, the world's biggest PC and hardware manufacturing show, held right in the heart of the manufacturing industry. We get to spend time with Asus – usually in multiple sessions for each of its huge divisions — Gigabyte, MSI, ECS, ASRock, Cooler Master, Corsair, Antec, Adata, Transcend, G.skill, and loads of other international brands. Of course Intel, AMD, Qualcomm and others are on hand, not only to show off their products but to demonstrate their close ties with Chinese and Taiwanese firms. This show has declined somewhat along with the PC industry as a whole but we still get to see a lot of brand new high-end gear — and sometimes a surprise or two from small Chinese parts suppliers. When fall rolls around, it's time to head back to Europe for IFA, the region's biggest electronics show. This is an exhibition of epic proportions, and while entire hangar-sized rooms are dedicated to kitchen equipment and home appliances, there are loads of TVs, smartphones, laptops, wearables, and connected devices to see. With IoT, voice assistants and smart devices going mainstream, IFA has managed to position itself as the perfect venue for consumer tech. Its timing right before the Thanksgiving and Christmas holiday shopping season also brings brands the world's biggest brands in to hold major launches. 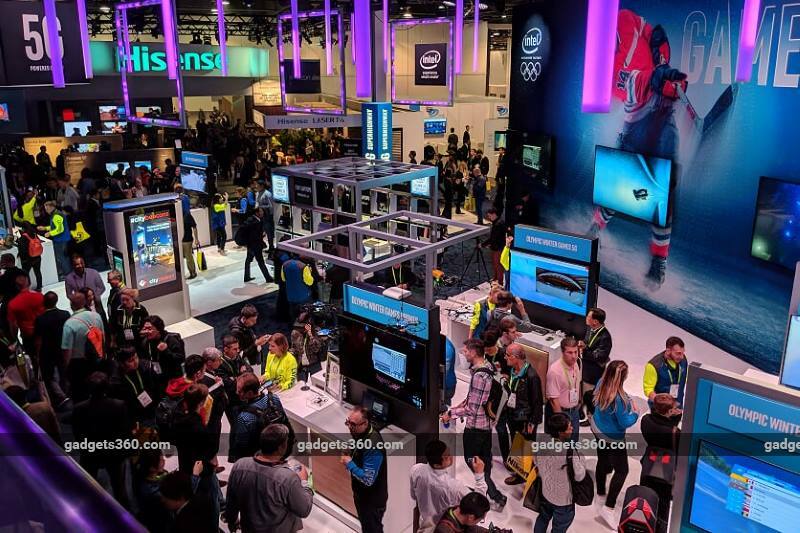 In between, we might have the pleasure of stopping by GDC in San Francisco or E3 in Los Angeles, where the entertainment and video games industries gather to show off their latest hardware, software and services. Unfortunately the PC-centric CeBIT trade show in Hannover has been cancelled this year after struggling for a while. Closer to home, the COM-IT expo in Mumbai and India Mobile Congress in New Delhi bring international and local players right to our doorsteps. Trade shows might be the tentpoles of the year, but not all companies want to work to that schedule. Several companies now hold their own conferences, forums and summits, so that they can dominate our attention and take a little more time to demonstrate and discuss their work. Our attention is on one or two big keynotes where major new products, operating systems, apps and strategies are usually announced, but the action continues for several days of private sessions and opportunities to mingle. Apple holds its software-focused WWDC event every June, hosting hundreds of developers and students for multiple days. We get to hear about upcoming versions of macOS, iOS, watchOS and tvOS, plus the occasional product teaser or launch. Google has been holding its own I/O conference for many years now, also in May/ June. We can expect major revelations about each upcoming Android release along with a general idea of the company's priorities and strategy around things like voice interaction and health. Microsoft's Build conference — usually around May/ June as well — does touch upon Windows, Office, Surface devices and gaming, but it's mainly for software developers. In December, Qualcomm hosts its annual Snapdragon Tech Summit in sunny Hawaii. Over the past few years, this has been the venue for major Snapdragon flagship SoC announcements, which is perfect timing for new chips to show up in flagship smartphones at MWC. We've also seen important demos of 5G and other technology that will set the tone for smartphones and other devices in the coming year. Sadly, Intel's annual Developer Forum has been suspended after many years. Facebook, VMWare, Oracle, Salesforce, Nvidia, Adobe, and Amazon are just a few of the other companies that host their own annual (or semi-regular) conferences. These usually target developers and industry professionals, but information that affects consumer products might come out as well. We have our eyes and ears on these, bringing you all the news that matters. Many companies avoid trade shows and prefer to do their own things at their own convenience. 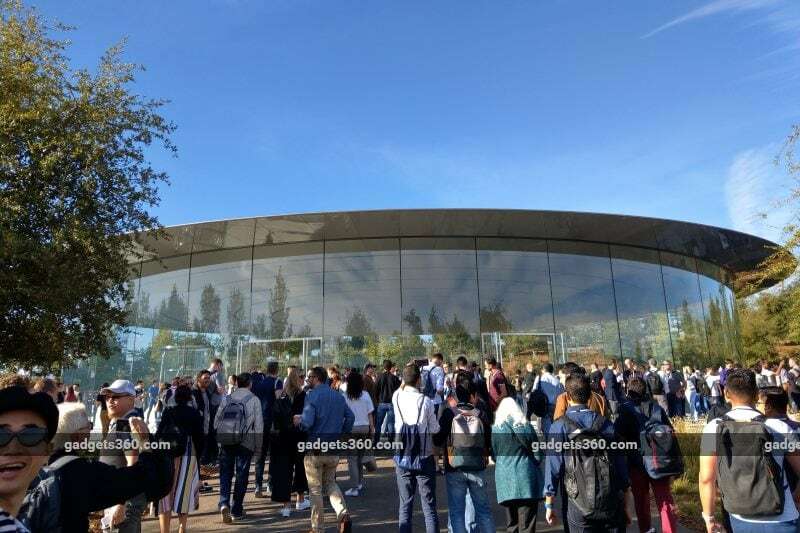 The biggest name here is of course Apple, which hosts four or more events for the media each year, either at its own brand new Steve Jobs Theatre or elsewhere to suit a particular theme. We can expect a big iPhone reveal around September each year, plus more events sprinkled throughout the year for new iPads, Macs, Apple Watches, and maybe even brand new products —for example, a new video streaming service is rumoured to launch in 2019. Google has been hosting a hardware-centric event for its Pixel phones, Home smart devices and ChromeOS laptops and tablets for the past few years, also usually later in the year. OnePlus will typically hold stadium-sized events twice a year for its big phone launches, and we can expect India to remain a key market with simultaneous (or slightly delayed) events held here in parallel to international ones. Several international companies including Lenovo, Acer, Huawei, and Xiaomi will invite international media to China or Europe for their major launch events. We get to see phones, laptops, accessories and more that will take time to launch globally, as well as try out products that aren't going to launch in India at all. Samsung usually hosts two major events for its flagship Galaxy S and Galaxy Note models, with the former usually coinciding with MWC. There are also smaller events held around the world for the launch of non-flagship models, many of which are equally important. Intel and AMD now both prefer small gatherings of focused tech media when they announce new CPUs and GPUs or other related products. These sessions allow us to ask questions that mainstream media aren't concerned about and discuss things like benchmarking and reviews. If all that doesn't sound exhausting enough, there are events in Mumbai, Delhi, Bangalore, Hyderabad, and many other Indian cities pretty much every single week. It's becoming increasingly common for companies to hold global-scale events here, allowing us to be the first to see and feel new products while the rest of the world either flies in or looks on. There's no shortage of companies to cover and products to get our hands on. Do stay tuned to Gadgets 360 to know when and where exactly each event is happening. You can watch livestreams, follow along with our live tweets and coverage, check out our hands-on first impressions stories and videos of major new products, and of course read all the details as soon as they're announced.